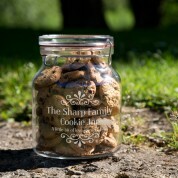 Personalised engraved storage jar to ensure the family biscuits, cookies and other treats remain fresh for a very long time. 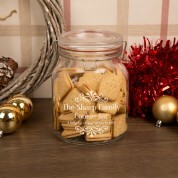 These solid biscuit, sweetie, foodstuff storage jars are of such a quality that you will be "itching" to give it to the lucky recipient! 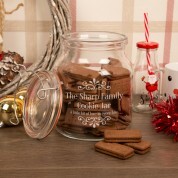 This substantial glass storage jar would look great in any kitchen or pantry just as it is but the added personalisation really makes it feel a part of the family. 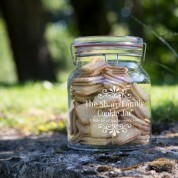 We will add the family surname to the design as well as including the strapline, "A little bit of love in every bite". 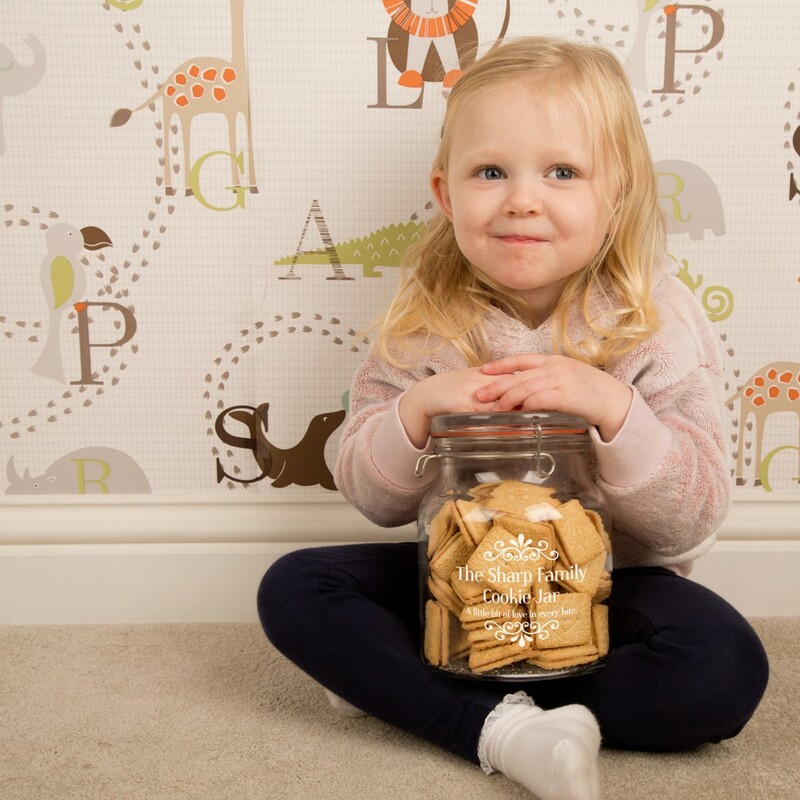 This gift is ideal for any occasion and is suitable for anything that benefits from sealed freshness - your marsh mallows or dolly mixtures would also benefit! Measurements: This is a 2ltr jar that measures approx 190mm in height and a circumference of approx 145mm. Unboxed weight is a hefty 1.3kg.